Regular gallery hours are Wednesday-Saturday, noon-4 pm. Admission to the gallery is free. C2 is wheelchair accessible. Tracing Paths is a two person show exploring the craft of Lin Xu and Paul Robles curated by Steven Leyden Cochrane. A path is created through repeated action—intentional with a direct purpose or carved through the unforeseen rhythms of our lives. Tracing paths reflects on the journeys and pathways in Roble’s and Xu’s work, paths that connect and diverge confronting the past to find a way forward with newfound clarity. 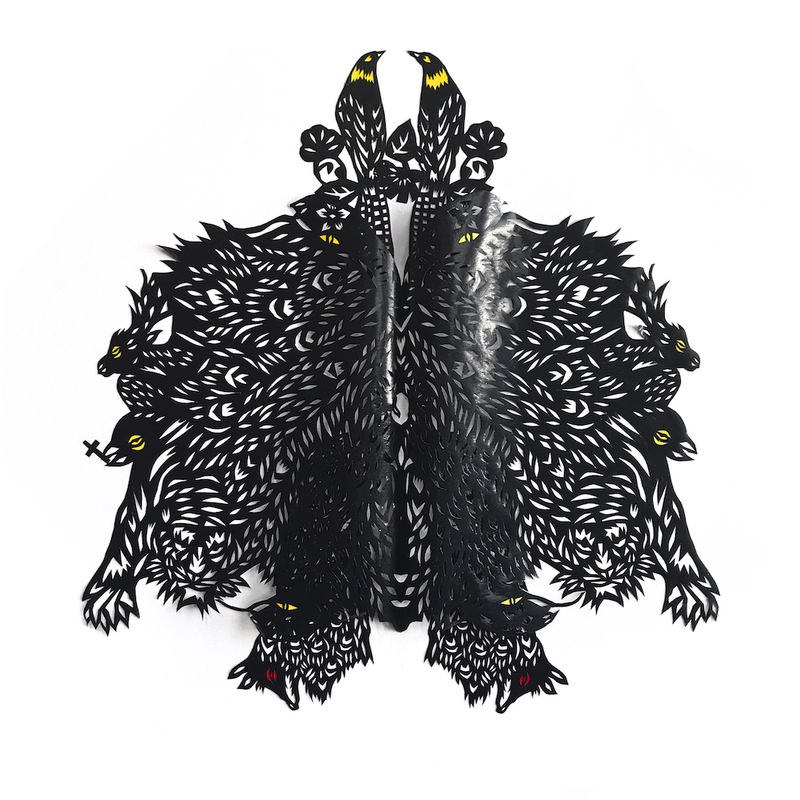 Paul Robles creates beautiful paper cuts using a knife to carve out minute sections of paper. What remains is a delicate lace-like image that flows with texture and pattern. Viewers can lose themselves in the precision and intricacy of his craft and the imagery formed. Paul’s work explores topics of trauma, grief and sexuality through his paper cuts, with viewers seeing images intended by the artist and finding their own imagery in the slivers cut away with his steady hand. Lin Xu’s ceramics are created from bits and pieces from past projects, finding the beauty in all that comes out of her studio. 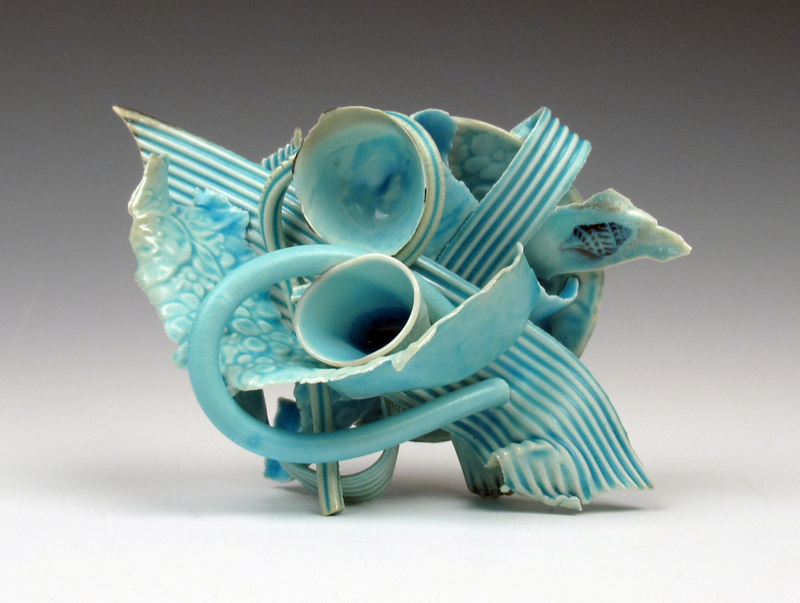 Lin intuitively assembles, glazes and fires her pieces with a mutual respect for her materials. The result of her efforts is either a new artwork or material inspiration for new ideas to spring from in the future. Her work explores oasis, rest and sanctuary from our busy world, all built in collaboration with her treasured studio castoffs. Her delicate arrangements show hints of the past celebrated and unified in the present. Tracing Paths was made possible through the generous support of the Arts Branch (Province of Manitoba), Canada Council for the Arts, Manitoba Arts Council and Winnipeg Arts Council.